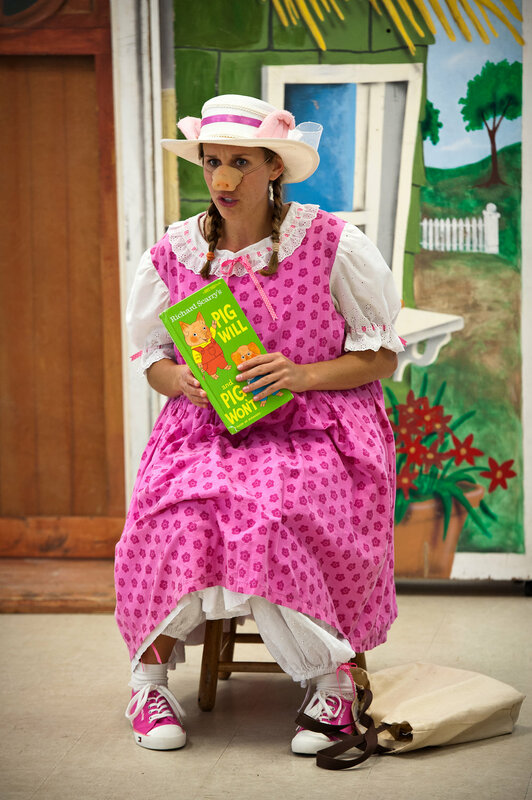 Rehearsals are underway and the FBN spring tour of Davies’s Three Little Pigs could be coming to a school or library near you! Don’t miss all the fun! A fun, operatic version of the story of The Three LittlePigs based on scenes from operas by W.A. Mozart. While brother pigs Don Giovanni and Cherubino set off to make homes of sticks and straw, their sister, Despina, goes to the library to read up on "huff-proof, puff-proof" home construction. After Wolfgang Bigbad blows down the boys' flimsy homes, they run to their sister's sturdy new brick house quite ready to admit that going to the library and reading books is a pretty smart thing to do after all! "If you fear a thing that's scary, just take your questions to the library"!